In its own backyard reside thousands of artists, both current and retired, dedicated to the form of the automobile. It has long had support from many American automobile executives and companies. Yet the Detroit Institute of Arts has not assembled an exhibit dedicated to the design of the automobile in decades, a drought that it will end with a sequel to the last such exhibit. “We’ll have 12 full-size cars in the galleries, but we’ll also have a collection of 35 or so original automotive sketches, which we want to use to show examples of techniques that designers used throughout the years from vellum with chalks to marking pens to the CAD designs they now create,” he said. The sketches, in fact, drove the creation of the exhibit, according to Porter. “More than anyone, Robert Edwards (one of the duo behind the American Dreaming documentary) urged this show,” Porter said. Since Edwards’s sudden death this past January, Porter said that Edwards’ wife, Julie, has continued Edwards’ work curating auto design sketches and preparing them for display. 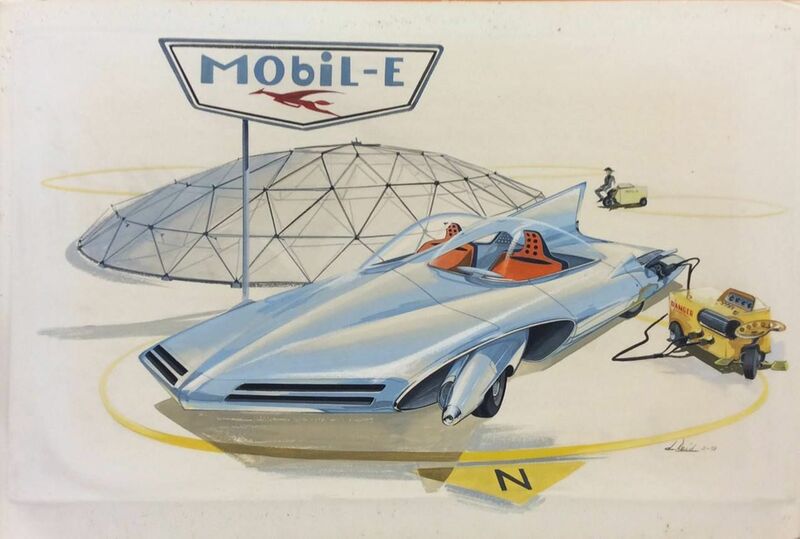 Circa 1959 Don Reid sketch of an electric Chrysler. Image courtesy American Dreaming. The last time the DIA showcased automotive design was 1985, when it presented Detroit Style: 1925 to 1950. Since then, the DIA – known for its Edsel Ford-commissioned Diego Rivera murals – faced a potential liquidation of its collections during the city of Detroit’s 2013 bankruptcy, a fate avoided by an infusion of cash from GM, Ford, and Chrysler, among others, in 2014. The DIA exhibit will also focus exclusively on designs for and cars from Detroit auto manufacturers, which is why Porter and Colman have put the call out for a number of cars, among them a 1961 Lincoln Continental, a 1966 Oldsmobile Toronado, and a Plymouth Barracuda. 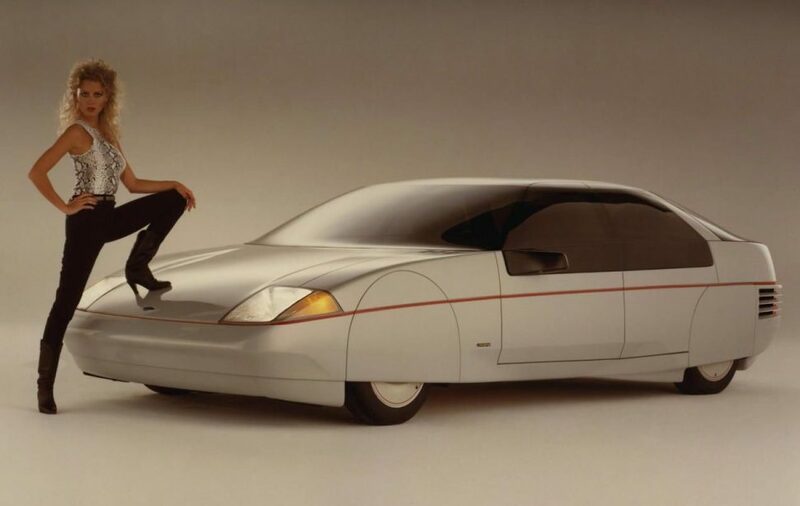 One car already slated for display is the 1983 Ford Probe IV concept car, a turbocharged and rear-wheel-drive sedan meant to combat rising gas prices with an ultra-low drag design and an early application of active aerodynamics. It currently resides in the collection of Fred Kanter. Similarly, Colman said that the exhibit will focus on key periods and designers throughout the given timeline. “We’re well aware that it’s a tall order to represent 70 years of automotive history in 12 cars,” he said. In addition to the cars and the renderings, the exhibit will also include process photography showing the development of a design from sketch to clay to full-sized vehicle. Detroit Style: Car Design in the Motor City, 1950-2020 will open in June 2020 and run through January 2021.